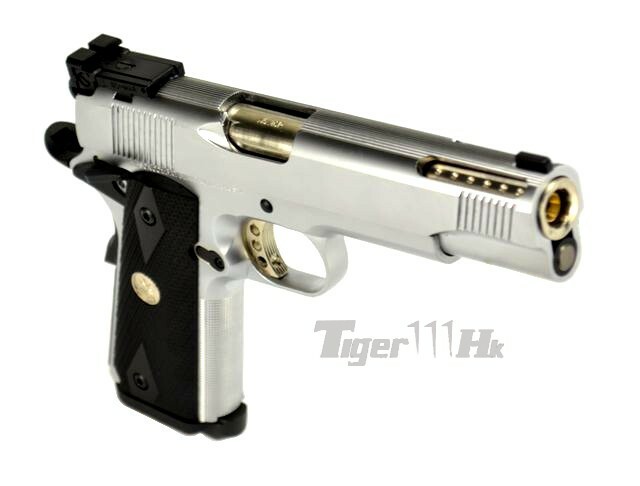 -Full metal slide and frame construction. 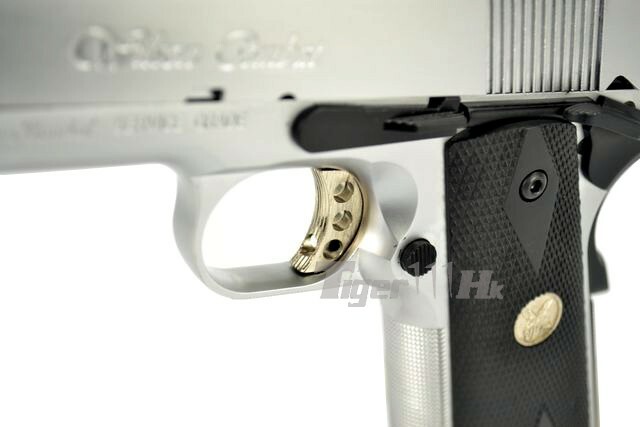 -GBB pistol with semi-automatic shooting mode. 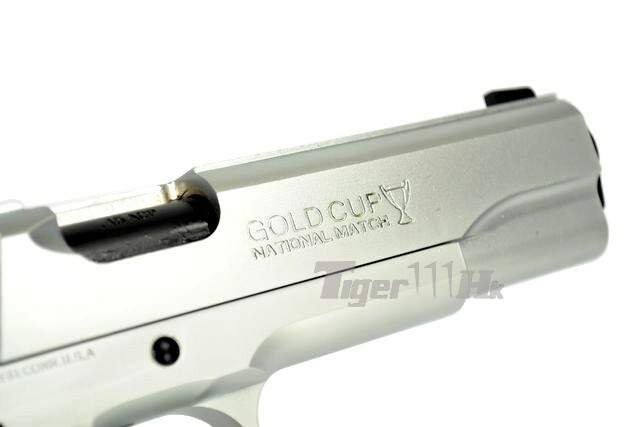 -Marks of GOLD CUP on barrel. 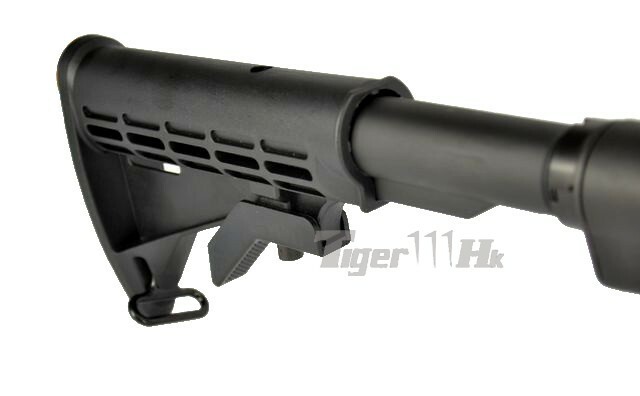 -V12 style Metal Slide with marking, ball stirrup cuts,adjustable target type rear sight and dummy fire pin. 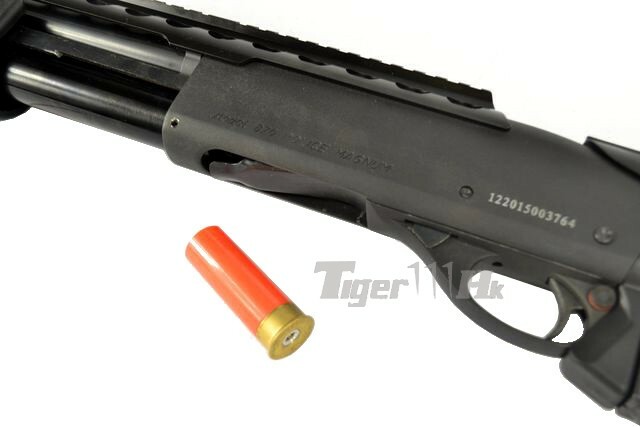 -V12 style Metal outer barrel with .45 marking, extended metal recoilspring guide and spring cap. 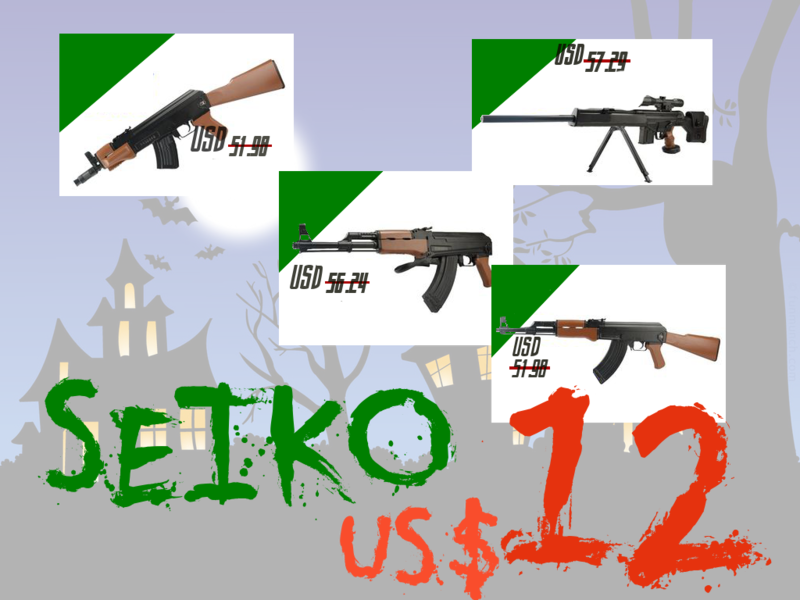 -Realistic Field Stripping as real steel. 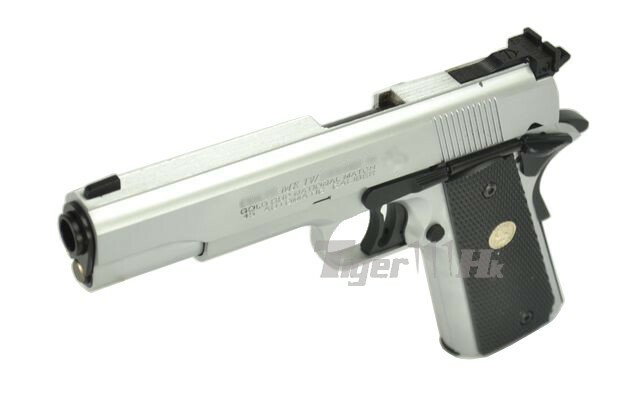 -MEU style metal lower frame with checkered pattern grip (a silver patch included). 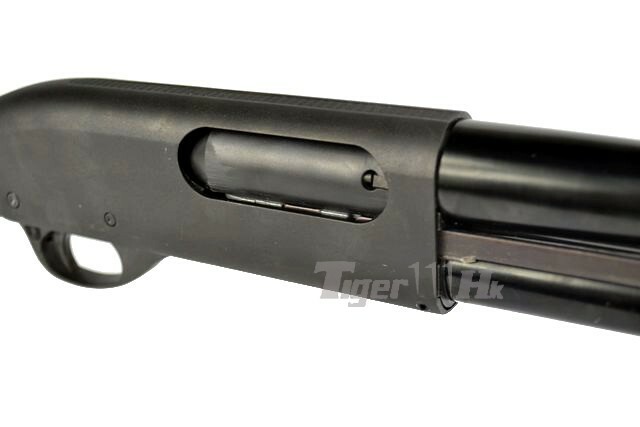 PPS Wood Handguard Gas Shotgun! 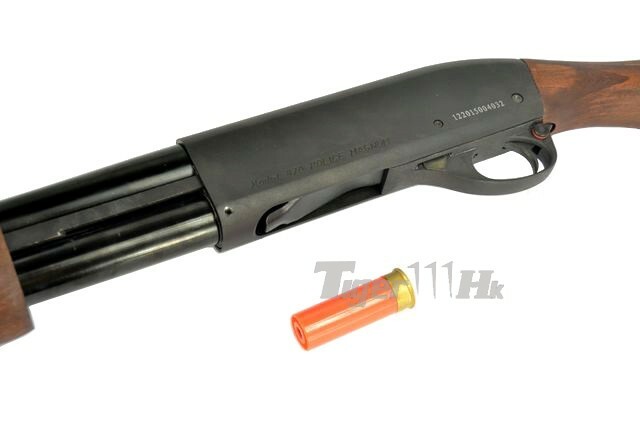 New Arrival PPS Pump Action Gas Shotgun!